Home Innovation Affordable Shopping Everything you need to know about Flipkart Pay Later — the most convenient & trusted way to shop! How does Flipkart Pay Later work? 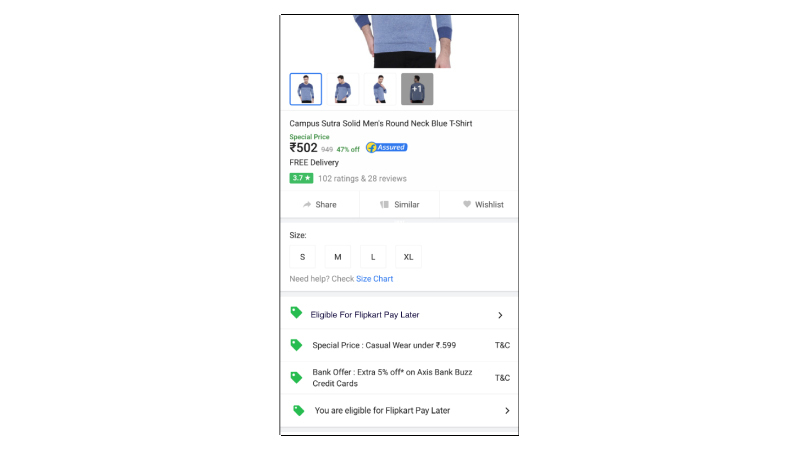 Take a look how Flipkart’s latest customer-focused convenience innovation makes online shopping simple and seamless. Flipkart Pay Later is a revolutionary customer-focused initiative from Flipkart to make shopping convenient and worry-free. While Flipkart’s Debit Card EMI, No Cost EMI and Buyback Guarantee make shopping affordable, Pay Later makes online shopping easy and convenient for you. Loyal Flipkart customers have been shortlisted to enjoy this service, and the list of eligible customers is growing month on month. How does Flipkart Pay Later work? It’s all about your convenience — pick your product, check out quickly and seamlessly without having to scramble for payment details or OTPs, receive the product, experience it and, when it’s convenient for you, pay for your products all in one go. Simple? You bet! Want to know more? Here’s everything you need to know about Flipkart Pay Later. No matter which part of India you live in, you’re sure to have a neighborhood grocery store that delivers products to your home and keeps track of your transactions in a register. You clear your dues when you have the time, and so the system goes. It works on trust and loyalty. After introducing Indian shoppers to Cash on Delivery, No Cost EMI and Buyback Guarantee, Flipkart brings another path-breaking customer-focused innovation — Flipkart Pay Later. What is Flipkart Pay Later? 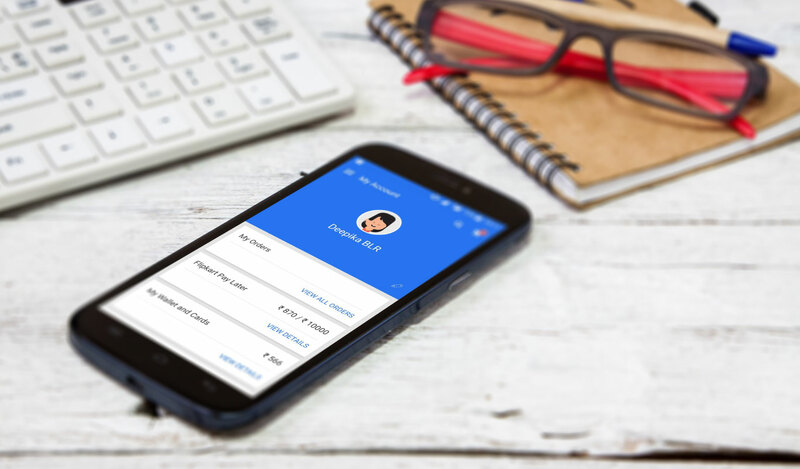 Flipkart Pay Later is a customer-centric innovation from Flipkart. It operates just like your khaatha (register) at a grocery store. You can use this payment option to shop for a wide range of products on Flipkart. So when it’s time for some well-deserved retail therapy or the need for an electronics upgrade for your home, you’re all set without any of the stress. The best part? You can pay for your products at your convenience, after you’ve experienced them. Sounds unbelievable, right? It’s actually very simple. Instant buy: You can buy products literally with the click of a button, without having to key in multiple details during the checkout process. Credit line: You can receive your products, experience them and then pay for them later, at your convenience. Bunch up payments: You can shop for multiple transactions in one go and pay later for all of them at once. 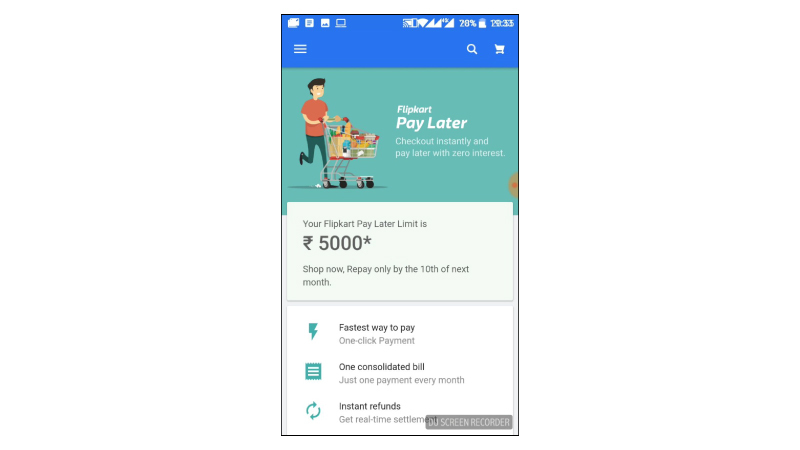 Who can use the Flipkart Pay Later payment option? Are you someone who’s not fond of scrambling for cash while a Flipkart Wishmaster waits at your door? Don’t have the time to key in 2-factor authentication codes while using your debit or credit cards for payment? Flipkart Pay Later is tailor-made for you. It makes the shopping experience convenient and oh-so-simple! Make your purchase, receive your delivery, and use the product. Then, you can come around to making the payment. Irrespective of whether you have multiple cards or none, Flipkart Pay Later is a convenient shopping alternative. Are all customers and all products eligible for Flipkart Pay Later? 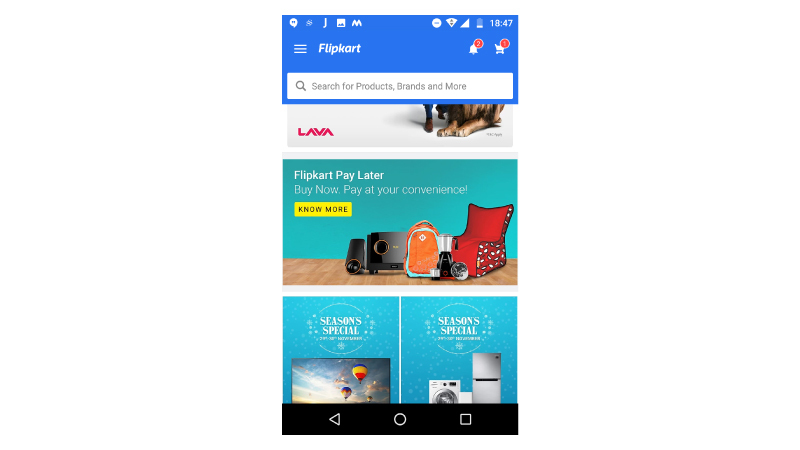 Flipkart Pay Later is extended to select customers. It is not an add-on or subscription service (like Buyback Guarantee, for instance). You are not required to complete any formalities or submit any documents to avail of the facility. 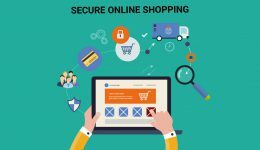 If you are one of the eligible customers, you will find that you have access to a shopping limit and can avail of this payment option when you shop from select sellers on Flipkart. Flipkart is working with sellers and lending partners to ensure that, in the coming months, this payment option is extended to as many customers as possible. Flipkart Pay Later offers benefits galore! When you use the Flipkart Pay Later option, here’s what you stand to gain. Try, then buy: Instead of paying for the product upfront, you have the option to receive the product, try it out and then make the payment. Club transactions: Did you buy a car mobile charger, a wallet and a pair of sunglasses from Flipkart in one month? No problem. When you opt for this payment option, you can conveniently make the payment for all three orders in one go. Speedy payment: When you make your payment, you don’t have to go through several steps to complete the payment. Enjoy one-click payment on the transaction. Always there for you: When you choose Flipkart Pay Later as your payment option, you can be assured of near-100% success rate. Pay when you are ready: You have the option to make your payment at the end of the month, just as you would settle a standing account with your neighborhood grocer. By default, the payment due date is the 10th of the next month. This gives you a convenient window of between 10 and 40 days to complete the payment. Of course, you can always clear the due amount whenever you have the time, the money and a good internet connection. Flipkart Pay Later is a cashless, paperless facility and you don’t have to shell out any maintenance charges to keep it up and running. 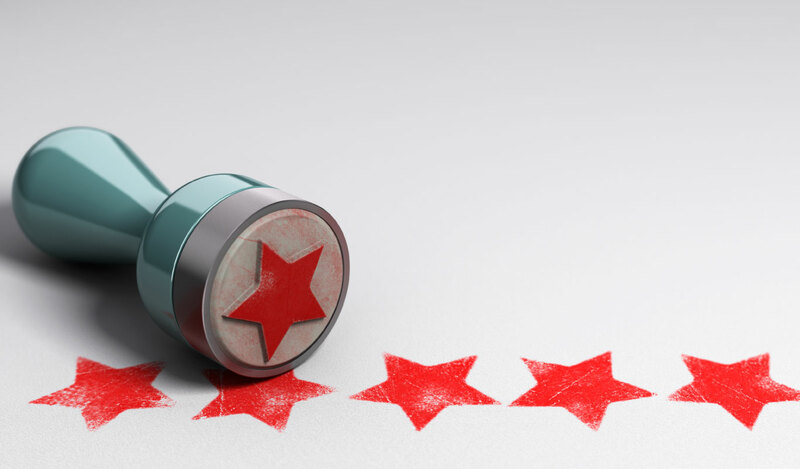 Take a look at how using this payment option is simple, yet bursting with benefits. While the Flipkart Pay Later option gives you access to a plethora of benefits that make shopping on Flipkart more rewarding, there are a few things to keep in mind. Remember that you cannot make partial repayment to clear your balance. Neither can you pay an excess amount — this facility is not a wallet where you can park excess money. 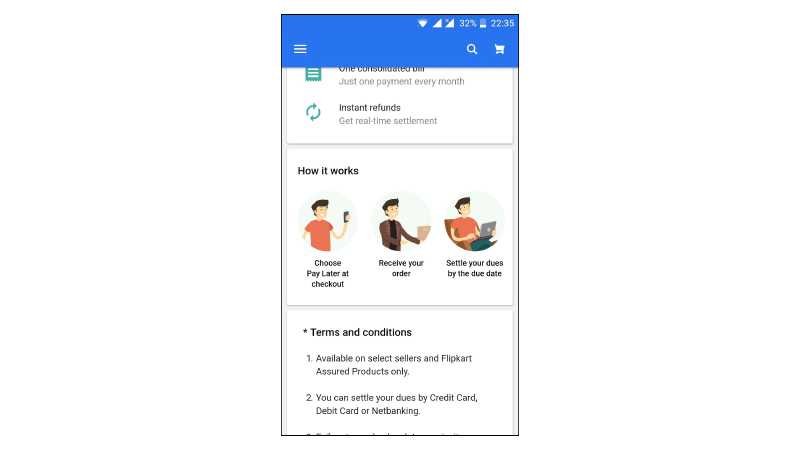 If you have an outstanding amount, you will be notified that you must pay the full amount to clear your dues and continue enjoying the benefit of Flipkart Pay Later. This payment option is currently available on the Flipkart mobile app and the mobile site, and will be extended to the desktop site very soon. So, whether it is a brand new smartphone, the latest trends, or a set of pans for the kitchen — no matter what you want to buy from Flipkart — you can shop conveniently with Flipkart Pay Later!